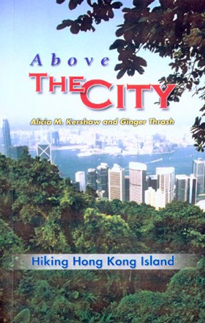 Ginger Thrash, an avid hiker and Bainbridge Island resident, is the co-author of Above the City – Hiking Hong Kong Island (2005). The book, written while she was living in Hong Kong, is a unique and comprehensive guide to the walks and hikes of an area famous for its beautiful scenery. The trails outlined in the book suit hikers of all standards and ages. Illustrations are included. Thrash is currently actively involved in Bainbridge's own walking community.